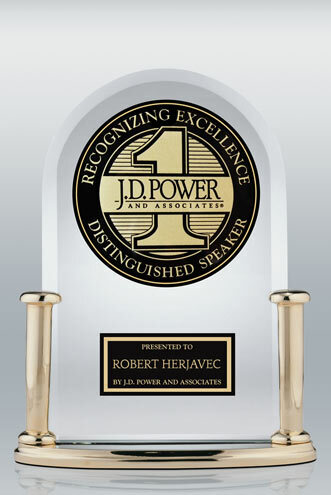 Robert Herjavec, dynamic entrepreneur and Shark, customizes each speech to fit the objectives and vision of the client. His sense of humor, energy and interaction with the audience will engage and inspire anyone willing to keep up with the pace of change. Robert leverages his life and business experiences as he navigates his presentation, giving audiences practical and tangible tools they can incorporate into their own professional and personal aspirations. See what happens when an executive member of your team or MC tables turn on Shark Tank’s Robert Herjavec, when he finds himself in the hot seat answering questions on business trends, entrepreneurship and revealing a few secrets from inside the Shark Tank. This fireside chat is a great way to customize Robert’s appearance to your corporate goals and messaging, with an opportunity to engage audience participation. Technology is constantly transforming, creating new possibilities and risks in the business world. 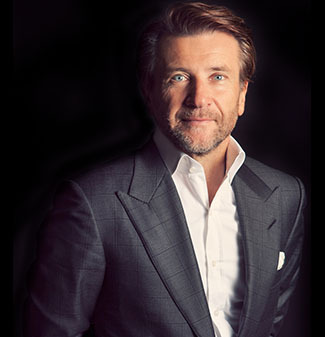 Dynamic IT entrepreneur and Founder & CEO of global cybersecurity firm Herjavec Group, Robert Herjavec, will explore evolving technology trends, and the rising cyber security threats we face personally and professionally on a daily basis. He will reveal a few secrets from inside the Shark Tank and inspire anyone willing to keep up in a fast-moving world. Anyone can succeed, as long as they’re willing to take chances, take control of their future and stay true to their vision. Shark Tank’s Robert Herjavec, reveals the secrets and sales tips that took him from waiting tables to growing his nascent technology company into a world-class conglomerate. He shares life principles that are as valuable in the living room as they are in the boardroom, that will resonate and motivate your team and audience. Have Robert motivate the audience at your next event. Submit your speaking engagement request through the form below. In my 30 years with the association I have never received the response I am getting today concerning Robert’s speech last evening. It is by far the most well received presentation in our history. Mr. Herjavec connected with the audience in a way that was “magical” He personal story is powerful and inspiring and his delivery authentic and heart felt. BRAVO! The FAST team was thrilled with Robert's presentation at our annual kick off. He spoke about adapting to change in our industry where the only thing constant is change. A truly motivating and passionate speaker. I loved how relatable and personable Robert was! Robert had great insights for entrepreneurs and I loved hearing the inside scoop on Shark Tank. I know I speak from our entire team when I say it was inspiring and an absolute pleasure to attend Robert's outstanding closing keynote, it was the highlight of the entire conference. Robert Herjavec was fantastic. We’ve heard so many positive comments from clients and internal staff already. I would recommend him without hesitation. Robert was focused, attentive, and very engaged with our audience and our executives. Dare I say this was our best one yet! Robert’s presentation was inspiring and engaging. He is humble and opinionated, curious and knowlegable on a wide array of subjects. Robert had our group laughing out loud all the while taking notes. Robert is a skilled speaker with a rapier wit!